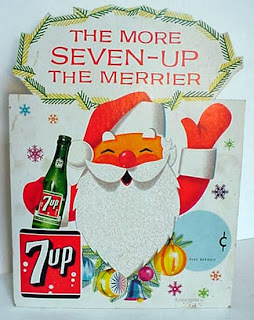 Farm Girl Pink....: ~ Random Holiday pretty... Seven-Up and Coke! What happen to having great color images for products?!? The older advertising campaigns for the soft drink companies were fantastic. 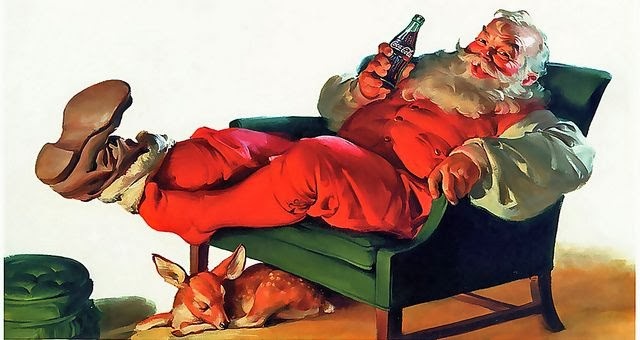 Coke-Cola had their Santa images... which are still great to look at to this day. I still love a Coke in a glass bottle, when I can find one. 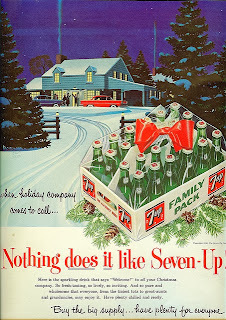 There is older family lake side store in East Texas that I visit... that still keeps their bottles iced down in old aluminum tubs in the Summer. Because nothing makes a Coke better... than it being ice cold! Coke really does taste better in a bottle. 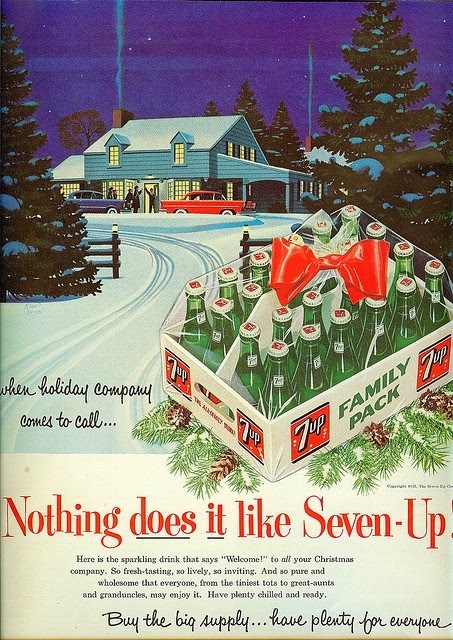 Recently, I kept seeing old ads for 7-UP and just had to have some. Everything taste better out of glass. I'm a Pepsi drinker, but one thing I miss is the 16 oz. glass bottles. 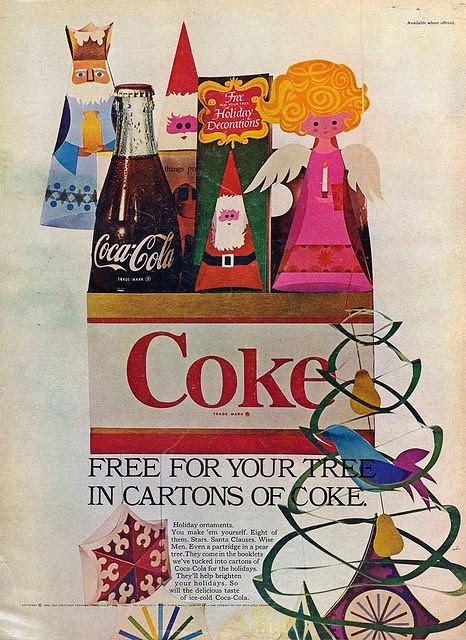 I love Coke in a bottle. We get them at Sams when we remember. I like your advertisements too. 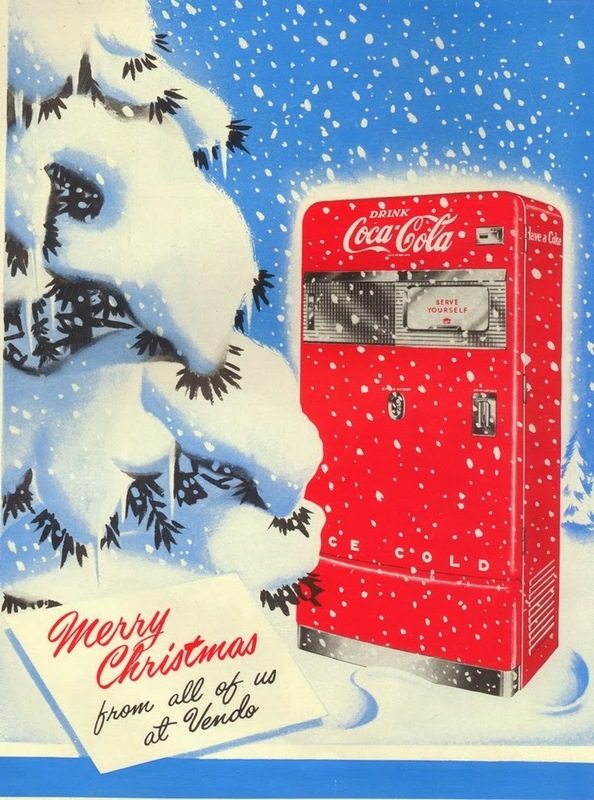 I love old illustrations. The local Kroger's has been carrying the Coke's made in Mexico. The ones made with real sugar and using the old glass bottles. My goodness they are incredible.